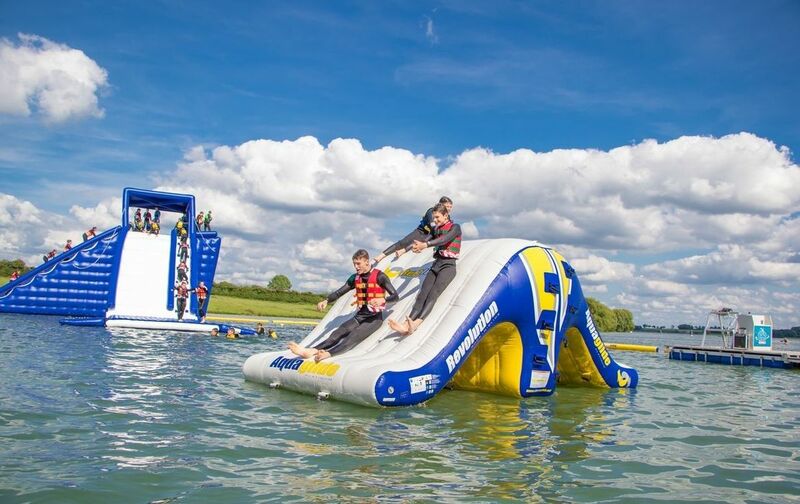 Slip, slide and splash at our inflatable Aqua Park. It’s the biggest and the best in the UK and we are pretty proud of that. 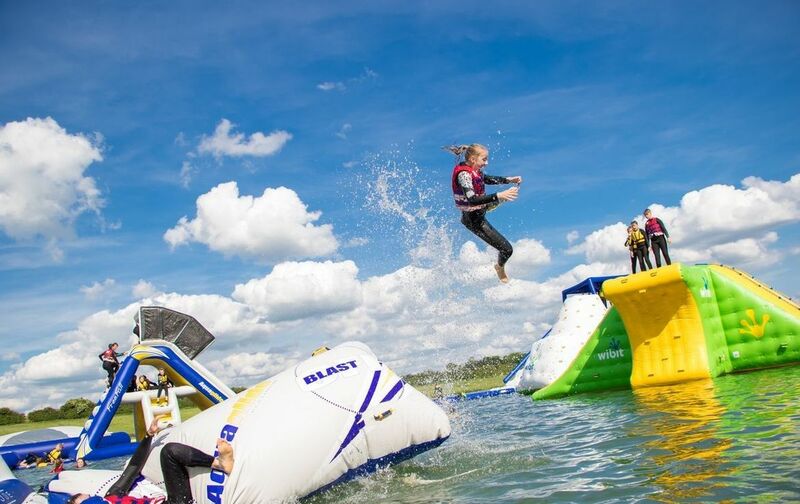 Located on the North Shore of Rutland Water, you can find the Aqua Park next to Rutland Watersports, perfectly located for a full on day on the water! 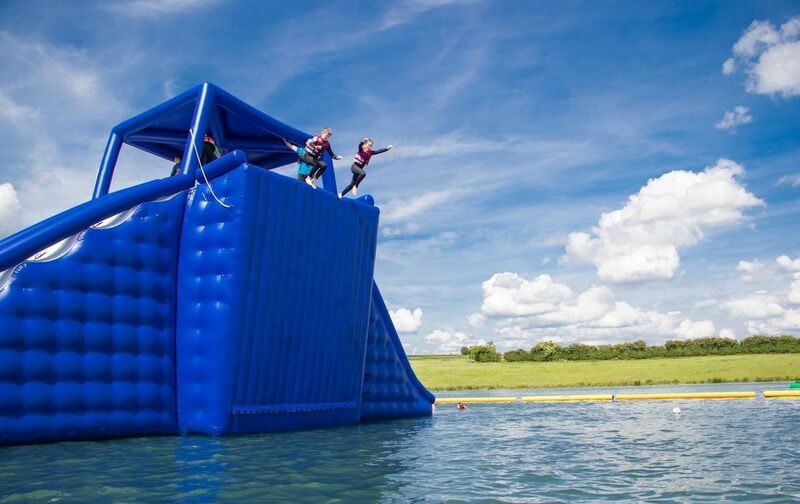 Fun for adults and children alike, the 100m x 80m inflatable obstacle course is available throughout the summer season from May the 26th – come rain or shine. 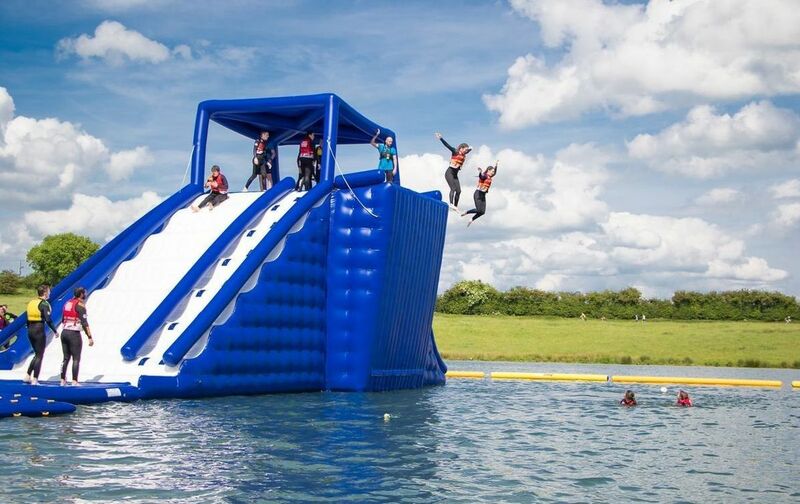 A great team activity, you can challenge your friends and family – but who will wipe out first? 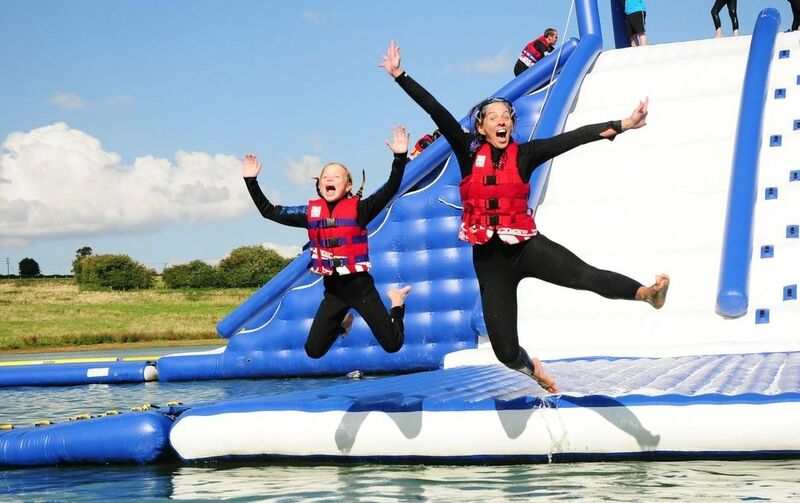 As you can imagine the park is super popular so we advise you book in advance. Click here to book your session. 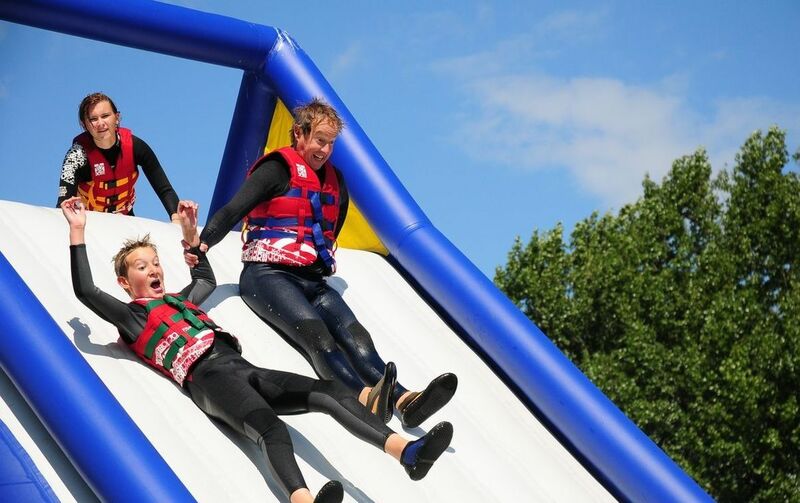 Safety is our main priority and so there are a few age and height restrictions. 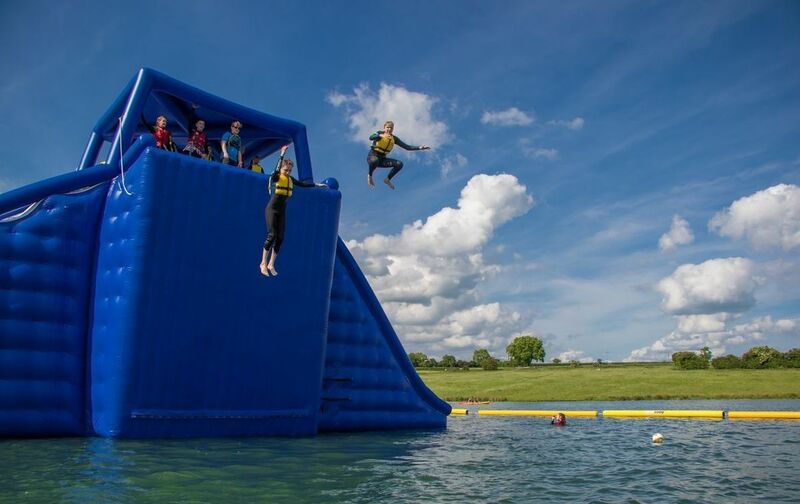 To tackle the inflatable course you must be over, 1.2 metres tall and able to swim 50 metres unaided with a buoyancy aid. Children under the age of 8 need an adult on the park in a 1 adult to 3 child max ratio. 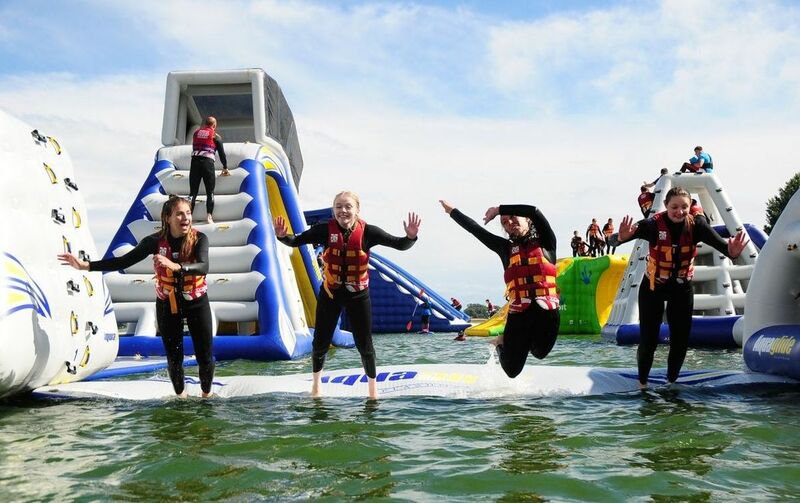 Under 16s need a parent or guardian on the shore for the duration of the session. There are special sessions each morning until the end of August that 6&7 year can attend. Please take the time to read through the most common questions about using the park here. Not much. Just ensure you are wearing appropriate clothing – a swimsuit or swimming shorts. 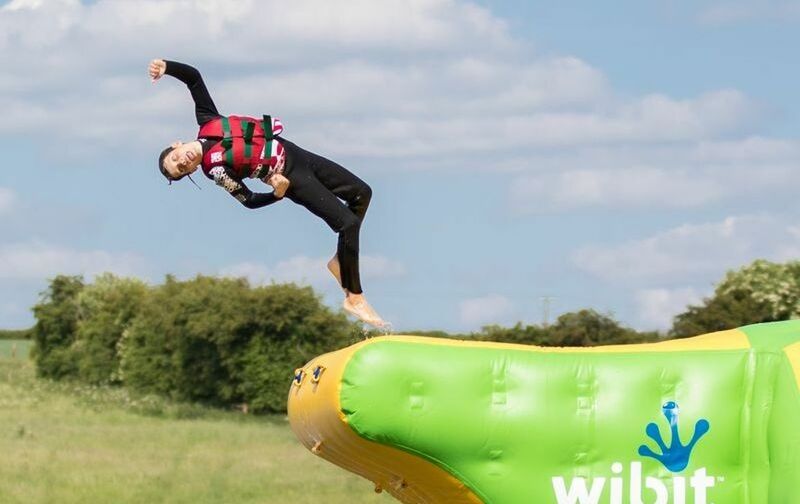 Wetsuit shoes can be purchased at the Watersports Centre. 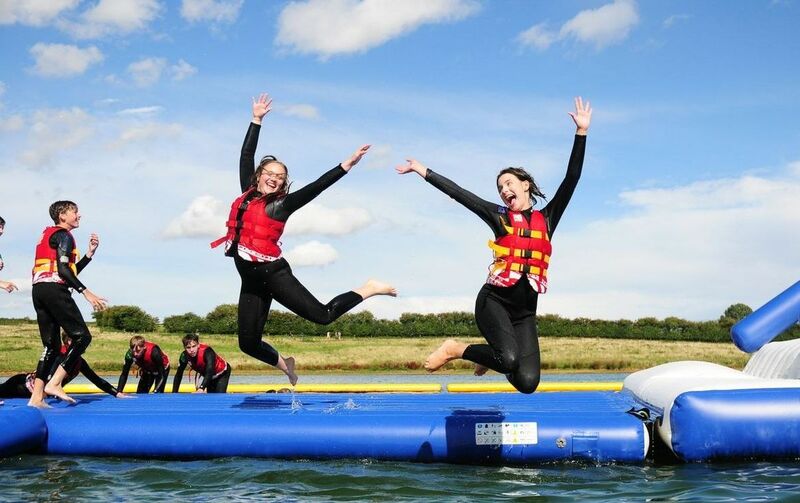 We will provide you with a buoyancy aid. 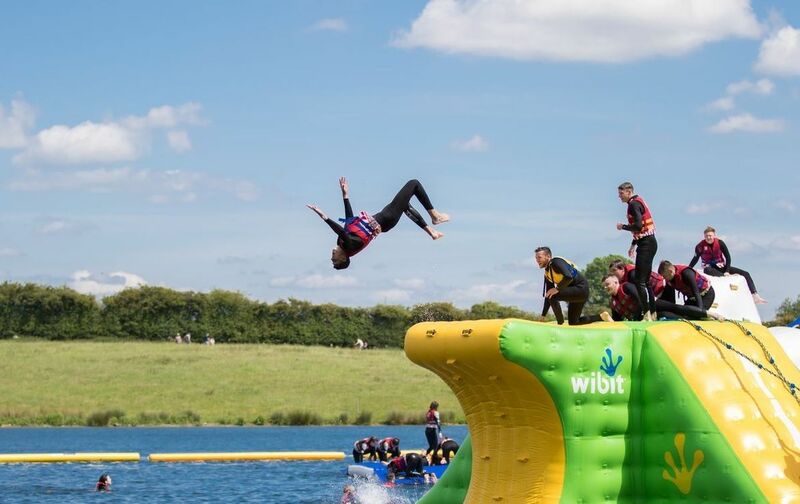 We also strongly advise you to wear a wetsuit, to keep you warm while in the water. These are available to hire upon arrival.